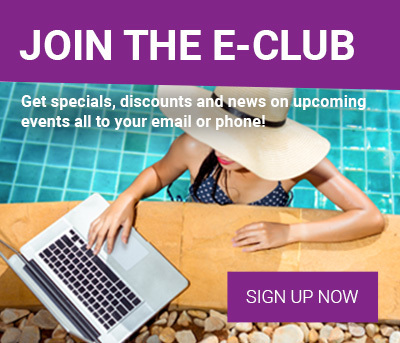 Become an Elite Member of our V.I.P. Crazy Sun Club. No Enrollment Fee! Just $49.99 per month, and get unlimited access to all levels and 50% off all products! Pure beauty for your skin and body! Available at our Rochelle Park, Cliffside Park, Midtown Hoboken and Rutherford locations. Get your teeth 2-8 shades brighter! We now offer BleachBright Teeth Whitening at our Cliffside Park, Montvale and Midtown Hoboken Locations. Get deals on store products and services. Check out our full list of tanning services. Planet Sun’s growth and success can be attributed to our strong belief in and constant dedication to superior customer service, cleanliness and well maintained, top of the line equipment. In addition, each member of the staff is highly trained and Smart Tan certified to help every customer tan responsibly and achieve a personal and optimal tanning experience. 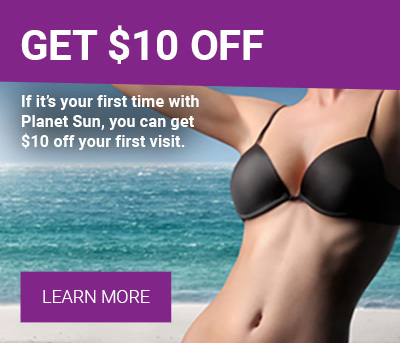 Planet Sun is proud to be New Jersey’s finest tanning salon chain where you can always expect a friendly welcome, a customized experience and of course achieve the most beautiful tan ever! It was very clean and well maintained. I felt super comfortable with my first airbrush spray tan. I just had one of the best Airbrush tans ever! Mettha was great. I’ll totally go back to her. Really can’t complain. Very clean facilities. Staff is welcoming and knowledgable.